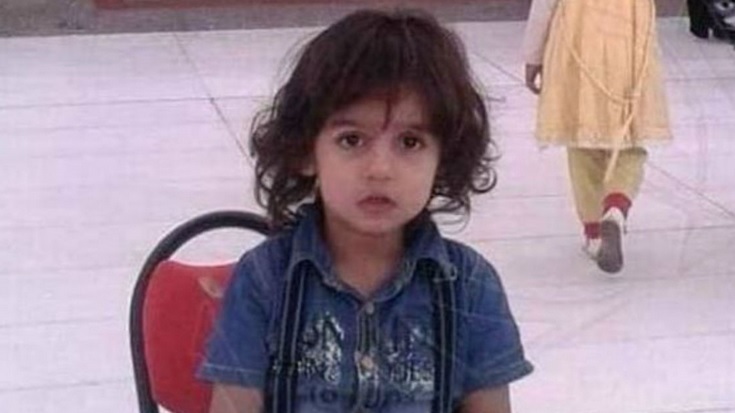 Saudi Arabia: 6-Year-Old Butchered in Front of Mother - Word Matters! A fanatic brutally slaughtered a 6-year-old boy in front of his mother in Saudi Arabia’s Medina city in the first week of February. But the majority of mainstream media sources assumed a silence on the reports of the killing. The Saudi Gazette posted a story about the horrifying crime in Al-Tilal neighborhood of Medina (alternatively spelled “Madinah”) on February 2nd. By their account, which was accompanied by a picture of the crime scene showing the blood stains of the victim, a 6-year-old boy was grabbed by a 35-year-old man and snatched from his mother’s arms. The assailant then broke a glass bottle and cut the boy with it while the mother screamed and struggled in vain to save her child. The story didn’t name the child or anyone but said that a policeman on the scene also tried to stop the killer but failed and also that the Medina police opened an investigation into the case. There was no mention of the arrest of the killer, his photo, identity, any other details. The story in Daily Mail wrote that it was not known why the man killed the child but according to Saudi officials, he was mentally ill – no officials named though. It also cited a Shia Rights Watch—a group advocating for rights of the minority of Shia Muslims in the kingdom—that an unknown man had asked the woman whether she was Shia shortly before the attack and killing of the child happened. Some international media sources, particularly British papers, did report the horrifying slaughter of the boy and none have reported Saudi officials denying the incident, though they are silent about the crime and identity of the killer or any other aspect of the story. However, majority of mainstream propaganda media mobs are silent, even Fox News with its claim of fair-and-balanced-seems to be conveniently silent over the crime. No headlines are appearing on Yahoo news though citizen journalists and commentators are uploading videos to YouTube and making social media posts about the crime. Citizen Truth wrote about the media silence on the crime, adding photos of the boy who they say was murdered on February 1st and that the motive of the murder was punishing the little child from being born into a Shia family.